"Dry" powder, a bar with no name, and an hour from an international airport. 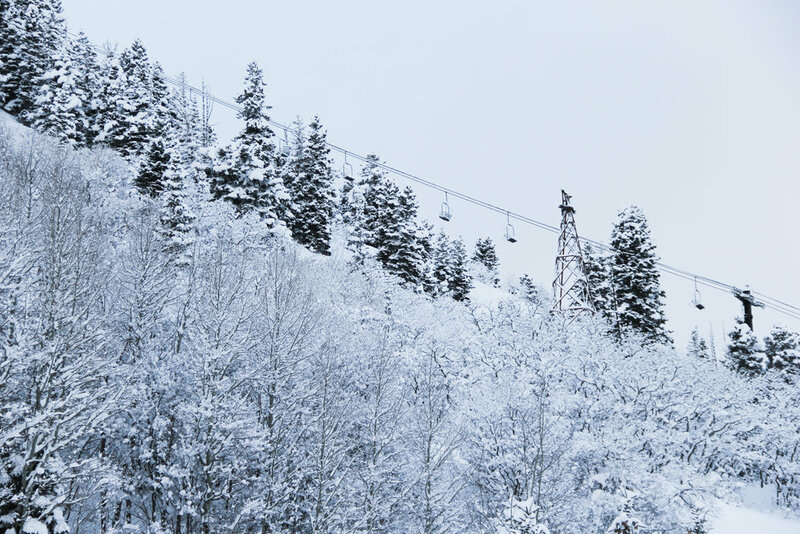 Park City is the ultimate winter playground. Pink Elephant | 509 Main Street // Go for coffee. Harvest | 820 Park Avenue, Suite 1 // Go for brunch. Church Public House | 628 Park Avenue // Go for happy hour (apps are $1) or go to visit Hell aka the bar upstairs. Davanzas | 690 Park Avenue // Go to hang out with the high schoolers eating cheap fried food. High West Distillery | 703 Park Ave // Go for the world class whiskey. No Name | 447 Main Street // Go for the dive bar experience. Handle | 136 Heber Avenue // Go for the cocktails and small plates. 10th Mountain | Don't be deterred by the fact that this run is roped off black diamond. It'll take you down through mature aspens, with enough space between trees for you to comfortably carve, but feel extreme at the same time. Parley’s & Sunnyside | We received a unique 27 inches of powder in the span of three days and these sloping blues made for perfect first runs in knee deep powder. Not as steep as a black diamond, these runs allowed us to fully enjoy the float of fresh pow without having to worry about a hidden mogul.